Make friends with this wonderful wooden handcrafted Eeyore pull along toy. 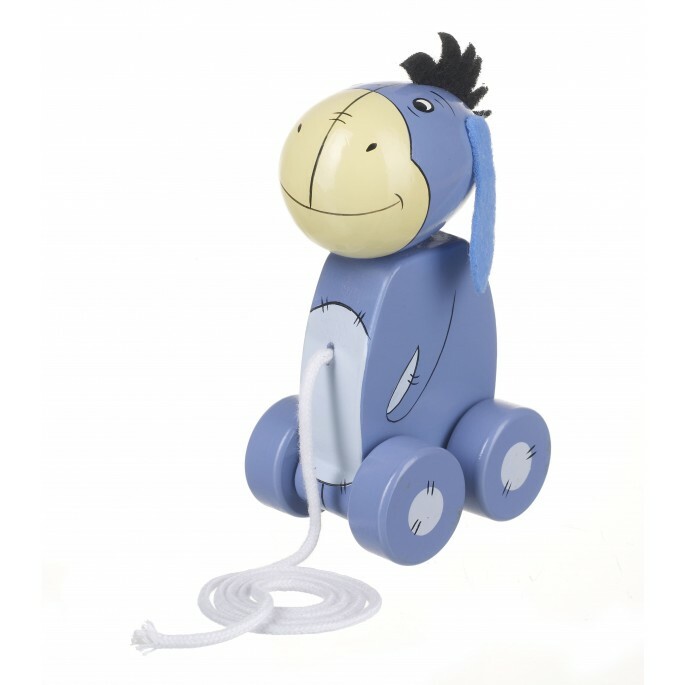 Eeyore will follow you around as you pull him along, the perfect companion for those first adventures, and to encourage those first steps. From our Winnie the Pooh collection, this wooden Eeoyre Pull Along is a beautiful traditional toy.